On January 2, 1678, a fleet of French ships sank off the Venezuelan coast. This proved disastrous for French naval power in the region, and sparked the rise of a golden age of piracy. Tracing the lives of fabled pirates like the Chevalier de Grammont, Nikolaas Van Hoorn, Thomas Paine, and Jean Comte d'EstrEes, The Lost Fleet portrays a dark age, when the outcasts of European society formed a democracy of buccaneers, settling on a string of islands off the African coast. From there, the pirates haunted the world's oceans, wreaking havoc on the settlements along the Spanish mainland and -- often enlisted by French and English governments -- sacking ships, ports, and coastal towns. More than three hundred years later, writer, explorer, and deep-sea diver Barry Clifford follows the pirates' destructive wake back to Venezuela. 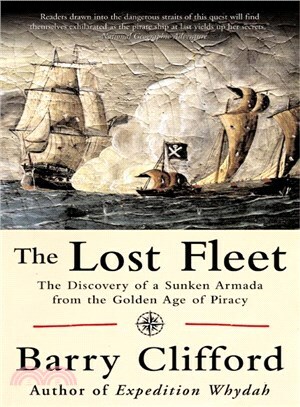 With the help of a lost map, drawn by the captain of the lost French fleet, Clifford locates the site of the disaster and wreckage of the once-mighty armada.